After the demise of Acid Bath, Sammy Duet stayed in the NOLA metal scene, forming what has become one of the most consistently high-quality bands in extreme metal. 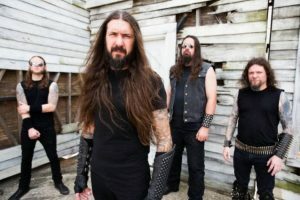 Since their debut in 2000, Goatwhore have released a total of six albums of quality black/death/thrash, with one coming every three years. It has now been three years since their last album and like clockwork, their seventh album, Vengeful Ascension, has arrived to provide a dose of extreme metal fury. 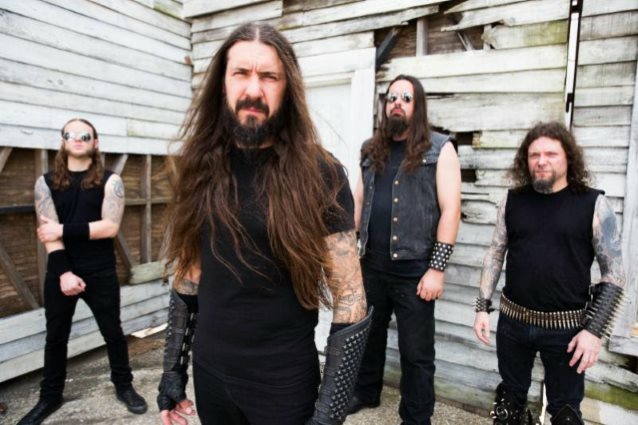 Goatwhore can groove with the best of them but at their core, they are definitely a thrash band. Sure they have elements of black and death metal mixed in there but they are strongest in times of balls-out thrashing fury. The first two tracks really set the tone for this album by thrashing the listener into submission before taking a groove break for the title track. Accenting this is a heavy guitar tone with plenty of stellar riffs and above average songwriting. “Where the Sun is Silent” really grooves along and it has good riffs and solid drumming to back it up. On the flip side, “Abandon Indoctrination” feels very lackluster. There are a few good riffs but the melodies and the solo both sound dull and uninspired. The tremolo picking gives it a nice finishing flourish though. Fortunately, Goatwhore come roaring back with better riffs on the last three tracks for a fairly strong finish. Sammy’s solos on this record are hit and miss with a few that sound like a bad Kerry King imitation, a few that just sound tired, and a few that actually sound pretty darn good. The drumming on this record is arguably the strongest thing about it. A few of the guitar melodies are dull and even the vocals have moments of weakness. However, Zack Simmons’ performance is consistently great, diverse and interesting. He knows when to sit back and groove with the band and when to blast away full speed and the transitions between the two styles flow seamlessly. His fills are really solid with a touch of creativity in the form of marches and rim hits. This is backed by speedy yet clever kick drumming that keeps these songs going full throttle, even when the guitars are not quite up to snuff. Ben’s vocals are very accessible and show some nice variety with regards to vocal aesthetics. He can do the booming low death growl really well as well as the higher, more typical black/thrash yell. He goes back and forth between the two styles frequently, keeping the listener on their toes. The trouble is, none of his vocals feel particularly inspired or standout in any way. They are far from bad and he certainly turns in a solid performance but it feels a bit by-the-numbers. Vengeful Ascension is an album with a number of strengths and a few glaring weaknesses but thankfully, the good outweighs the bad. Sammy a few weak riffs but plenty of great ones and everything else is pretty solid. Zack’s pounding drums are definitely the star of the album though, saving it from further mediocrity. Considering what this band is capable of, this album is not their best work but there is always hope that the next one will be a return to form. 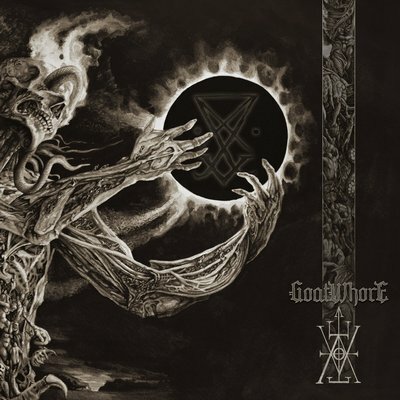 This entry was posted in Black Metal, Death Metal, Reviews, Thrash Metal and tagged 2017, black, death, Goatwhore, Metal Blade Records, New Orleans, Thrash, usa, Vengeful Ascension.